Tomorrow is a holiday in Spain. See you all on Monday. 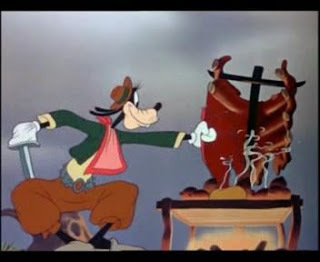 Starting next Friday (May 8th), I will be leaving on a three-week vacation to Utah and Arizona. 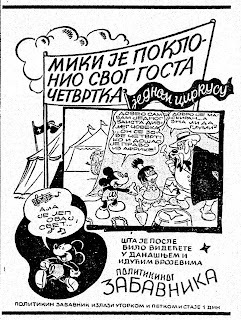 I therefore thought it might be fitting to share today this page from the Serbian magazine Mikijevo Carstvo (Mickey's Kingdom) number 1 featuring the locally drawn story from the '30s Donald, Cowboy. 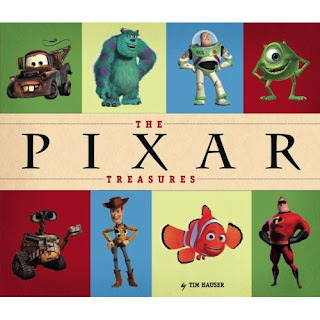 The cover of the upcoming Pixar Treasures has been revealed by Amazon last week. 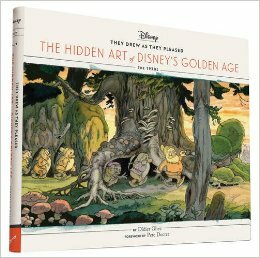 And David Peake just wrote to let us know about the fact that the Art of The Princess and the Frog by Jeff Kurtti is now offered on pre-order on Amazon.com and that Amazon.fr is featuring Pierre Lambert's books about The Jungle Book and Snow White. 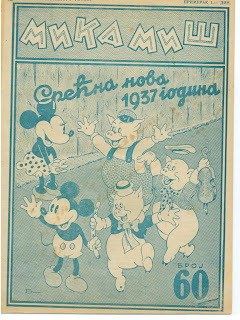 Here is the cover of the Serbian magazine Mika Mis 60 that I just received yesterday. 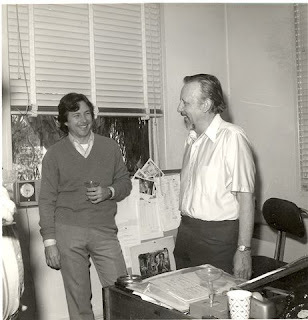 Jim Korkis just forwarded to me a link to a new Disney history blog with the following statement: "There seems to be a plethora of Disney related blogs out there and I thought I knew most of the good ones. 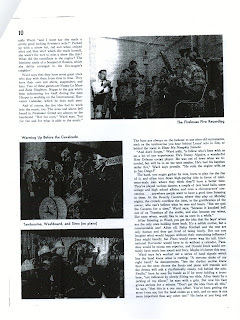 However, thanks to John Frost, I discovered that Shawn Slater started a blog in March. 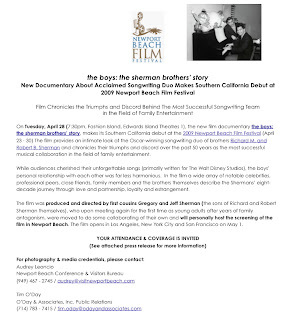 Who is Shawn Slater? 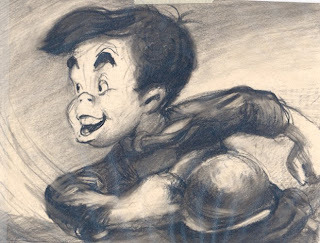 Shawn is one of my favorite Disney history people in the world. 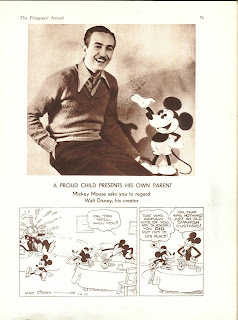 He and his lovely wife Laurel are Disney history experts and for a time Shawn was a show writer for Imagineering and helped come up with outstanding stories for several WDW locations including the Confectionary Shop on Main Street and the McDonalds Fry Wagon. 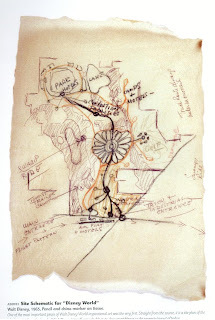 Thankfully, he is sharing all this information and more on his new blog. 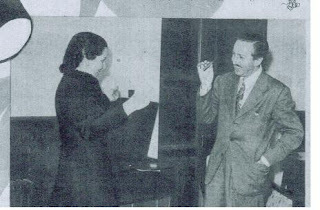 The very first time I heard the phrase 'The Disney Mountains' referring to the various mountain-like attractions at the Disney theme parks was in a presentation that Shawn and Laurel created several years ago that delighted cast members. 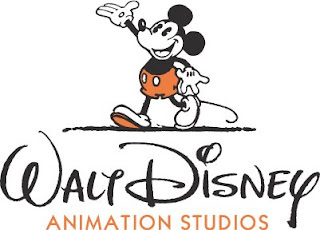 They have truly been keeping the magic of Disney storytelling alive and this is a site I will be bookmarking as one of my favorites." 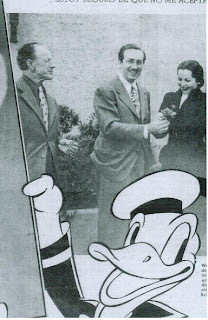 Regarding the photos of Don Griffith that I posted yesterday, Christian Renaut is almost certain that in the photo where they serve Champagne, the man behind Don is Joe Hale. 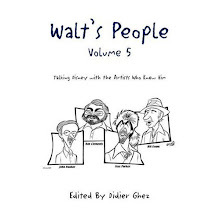 Don Griffith, who will be featured in Walt's People - Volume 8, was one of the key Disney layout artists. 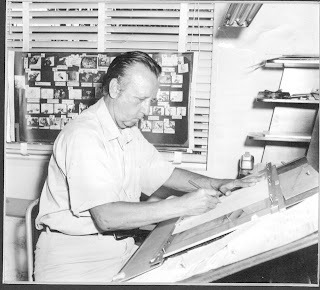 He started working at Disney when he was 19 years old (in 1937) when the Studio was still on Hyperion. 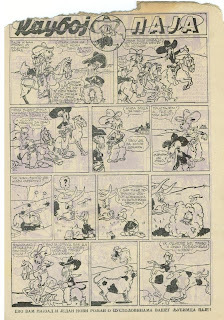 He started out as an inker and worked his way into doing Background and Layout. 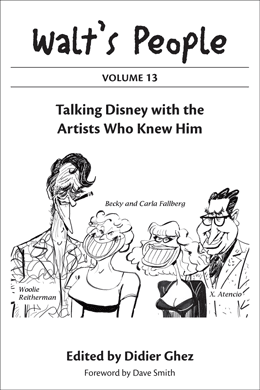 He didn't have any training as an artist before he started working for Disney which is why he thought anyone could learn how to draw. 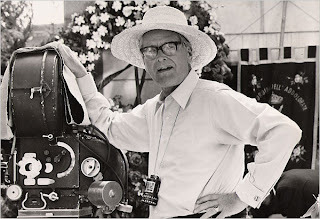 He worked at the Studio for almost 50 years (until 1984). 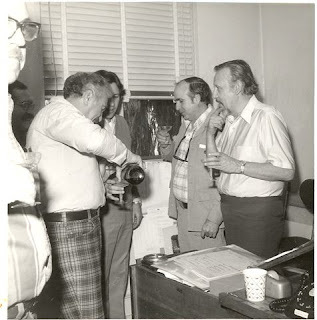 His granddaughter Tammy Rogers was kind enough to send me these photos of his 40th Anniversary at the Studio. 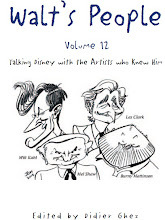 Would anyone recognize the other artists featured? 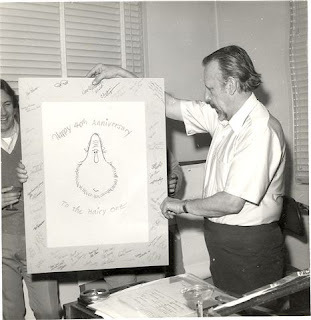 In the last photo, the caricature of himself that Don is holding was drawn by Vance Gerry. 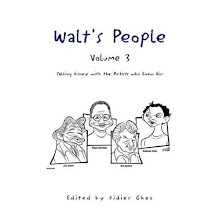 Animation and comics historian David Gerstein just launched his blog, which is likely to become one of my daily stops. 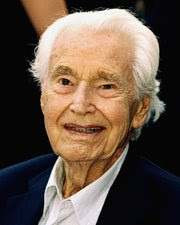 Unfortunately Ken Annakin just passed away. 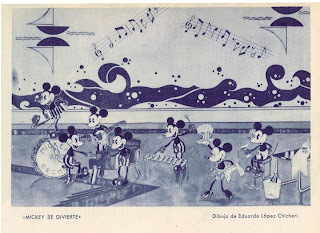 The only thing I know about this weird drawing by artist Eduardo Lopez Chicheri is that it was released in a Spanish magazine in the '30s. I thought you would enjoy it. 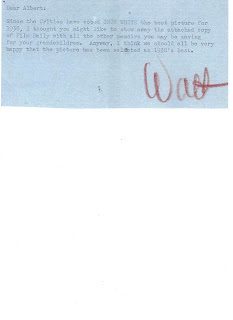 [Enclosed: An item that was sold at an auction some years ago - a memo from Walt to Albert Hurter. 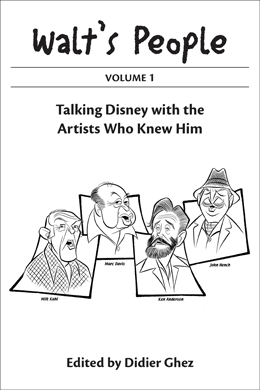 On May 6, Disney Editions will release the long awaited book by Jeff Kurtti and the late Bruce Gordon, The Art of Walt Disney World. 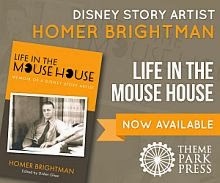 This book will unfortunately be available only at Walt Disney World and Disneyland. I have just received an advance copy yesterday evening and was so excited while I started looking at it that I knew I would not be able to wait to post a short review. 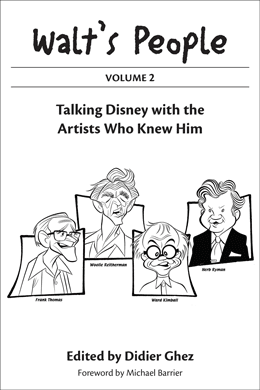 The companion volume to this book, The Art of Disneyland was a great piece and this one follows the same pattern. 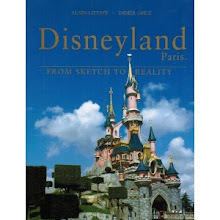 My excitment in the case of The Art of Disneyland, however, was compensated by the fact that I had seen many of the featured drawings and renderings in other books. 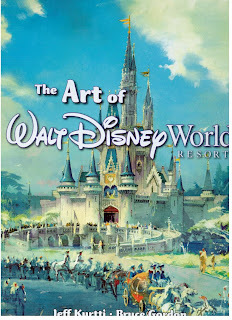 Not so with The Art of Walt Disney World. 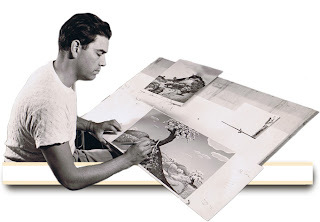 I estimate that at least 75% of the artwork had never been released in book form before. 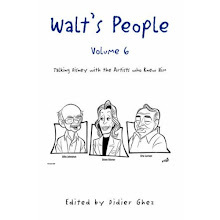 Every single piece of art has been selected very carefully by Jeff and Bruce and although the text is limited to the captions, every single caption is interesting and brings something of value. 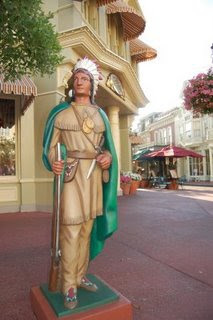 The equilibrium between the "WDW that was" and the "WDW that never was" also tends to perfection. 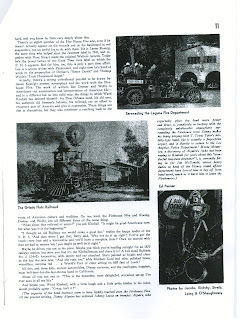 I discovered quite a few attractions projects that I had never heard about before, designed by such prominent artists as Sam MacKim or Collin Campbell. 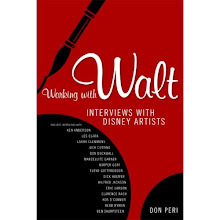 There is sheer beauty in this book if you love WDI's artwork, and although I have to admit that I often prefer the carefully rendered paintings of Dorothea Redmond, Collin Campbell, Tony Baxter, Julie Svendsen, and Sam MacKim, I also loved some of the art created by some artists of the most recent generation. 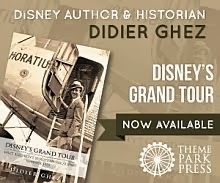 From my point of view this book is as much a "must have" for park enthusiasts as the Disney Studio Archives Series: Story was for animation historians. When I said I couldn't wait to get it a few months ago, my impatience was justified. This is a book that definitely lives up to expectations. Crazy day today so I will not have time to update the blog. See you all on Monday. - Good-Will Ambassador No. 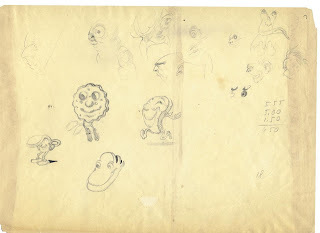 1 by David Lesjak (great post as ever). 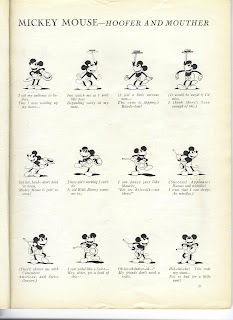 I have reasons to believe that Disney story artist and director Leo Salkin wrote a diary during many years. 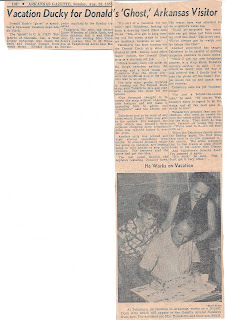 I was wondering if some of you may be in contact with some of his relatives or would know how to contact them. If you do, please let me know. 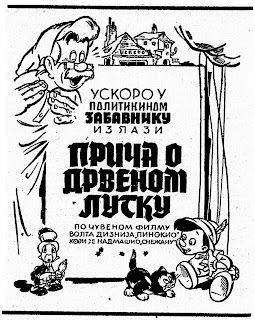 (The illustrations is from the short Pigs is Pigs that salking wrote and directed). This just in from Tim O'Day. 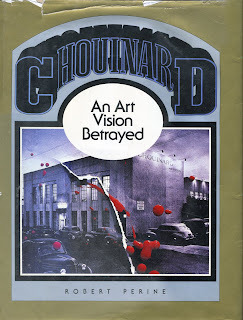 Here is a book that I can't wait to read: Chouinard/An Art Vision Betrayed by Robert Perine published in 1965. 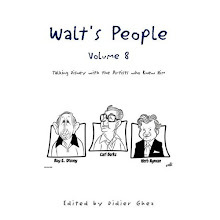 Thanks to Michael Sporn for letting us know that it exists through his blog. 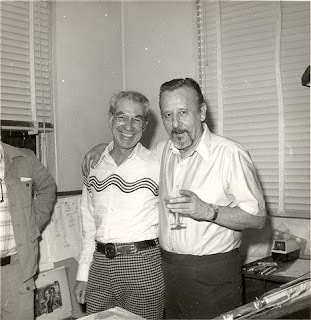 Alan Coats, Claude Coats' son just launched a website dedicated to his father. 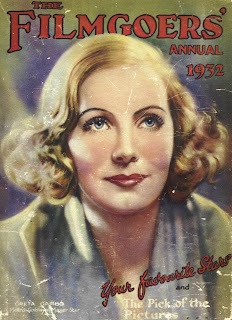 [Enclosed: Scans of an article in The Filmgoer's Annual 1932, probably published in 1931, in London. This weekend I had the chance to meet John Culhane who is spending a 10-day vacation in Madrid. 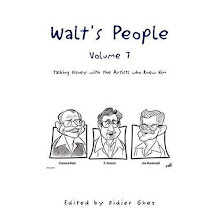 John brought me no less than 60 tapes for Walt's People, containing such gems as interviews with Shirley Temple, Frank Capra, Art Babbitt, Les Clark, and many, many others. 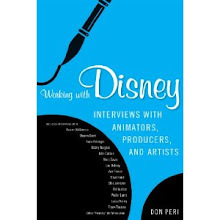 I can't tell you how happy I am to be able to share those interviews with all of you in future volumes of WP. That being said I need more help than ever transcribing, transcribing and transcribing even more. 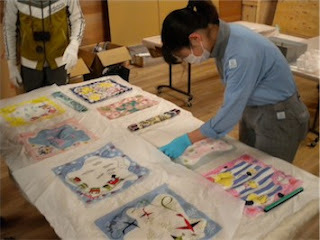 Volunteers are more than welcome! 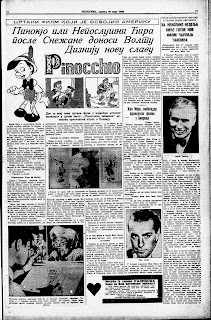 This interview with Al Taliaferro just in thanks to Michael Barrier. 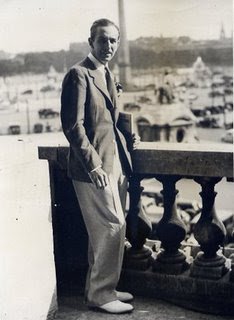 Tomorrow and Friday and holidays in Spain. See you all on Monday. 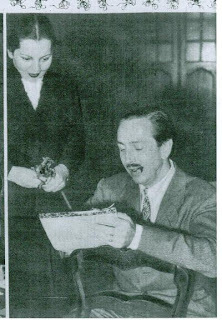 Here are a few photos of Walt in 1941 during his trip to Argentina, with the journalist Regina Monsalvo. 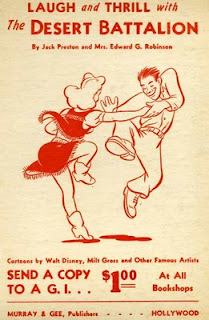 There is one book that I simply can't wait to finally put my hands on, after years and years of waiting: South of the Border with Disney: Walt Disney and the Good Neighbor Program 1941-1948 by J.B. Kaufman. 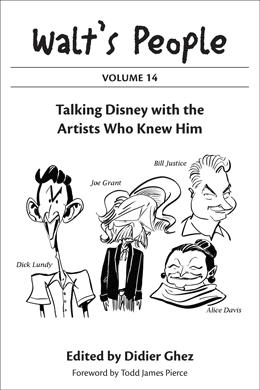 J.B. mentioned last week that the book was now at the printer and David Peake noticed this weekend that Amazon offered it in pre-order. 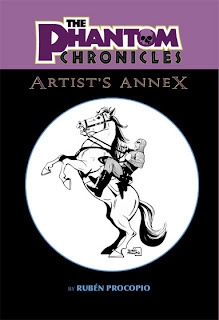 Van Eaton Galleries released on Saturday their new catalog of concept art and storyboard art. Some beautiful pieces in there. 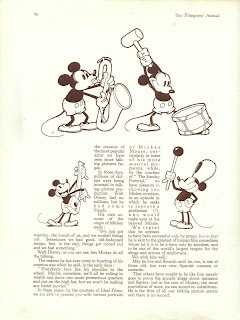 Jim Korkis is researching an article on the infamous Dixieland Jazz Band, "Firehouse Five Plus 2" composed at various times by some of the top men at the Disney Studios including leader Ward Kimball, Frank Thomas, Jimmy MacDonald, and Harper Goff. 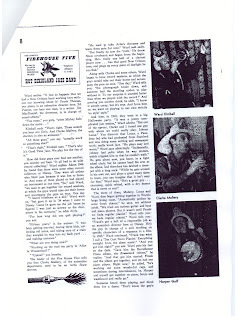 One of the most difficult articles to track down was one of the first devoted to the band that appeared in "Record Changer" magazine September 1949. 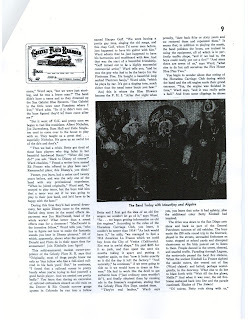 Thanks to some luck, Jim was able to find it and was kind enough to photocopy it for the readers of this site to enjoy. 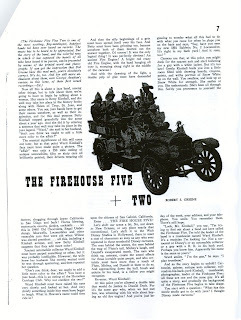 While the "Firehouse Five Plus 2" went on to great success, recording many albums that are available today on CD and playing at a variety of venues including Disneyland, this article is important because it came at the very beginning of that career. 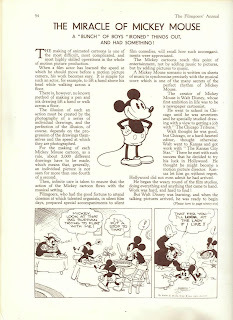 [Enclosed you'll find a Mickey Mouse page from the December 1931 issue of College Humor, probably made specially for this magazine, and one in a series. 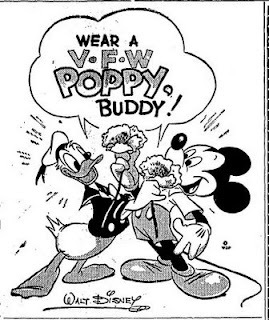 I can't recall having seen this one anyplace else. 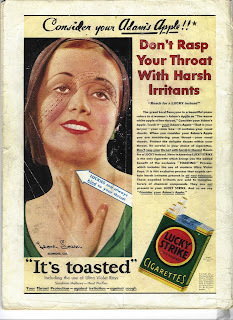 I realize the two ads are off-topic but I could not resist posting them. 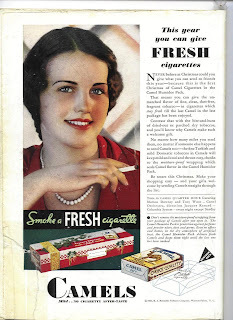 I do not believe that even the characters in the TV series Mad Men would have dared to create them 30 years later.